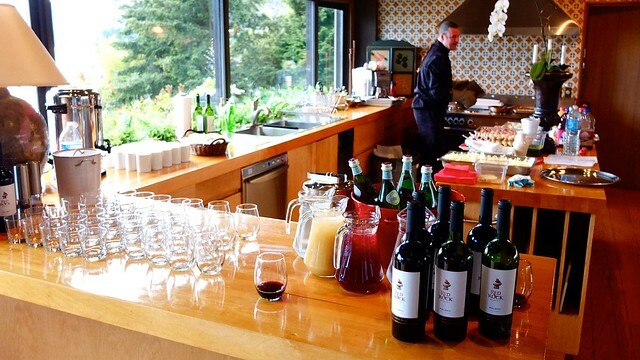 Vancouver Daze, Volume 74: Red Rock Winery's Malbec wine tasting in West Vancouver on June 14, 2012. Published in Vancouver Is Awesome. A few of us local lifestyle writers were shipped up to a private home for a special, intimate introduction to Red Rock Winery's California Malbec red wine vintage. 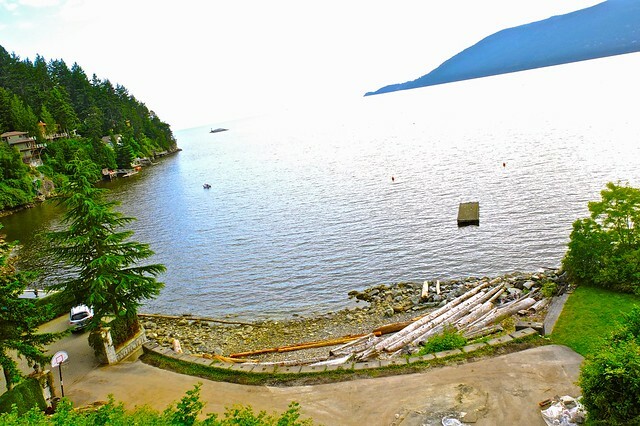 The absolutely gorgeous ocean view setting overlooking Horseshoe Bay was absolutely stunning. 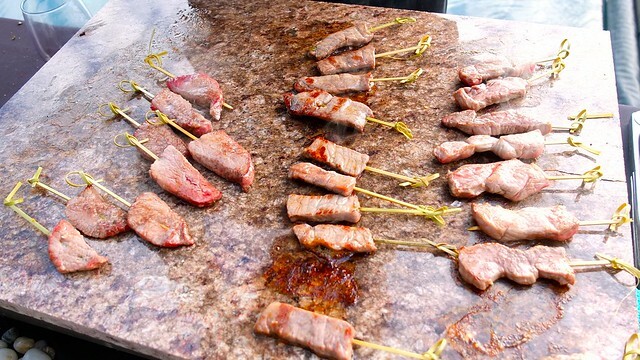 We relaxed, enjoying the remote waterfront view during sunset and nibbling of sizzling sticks of raw meat cooked on a hot stone grill catered by A Moveable Feast Cafe. Everything was keeping with the "stone" theme. 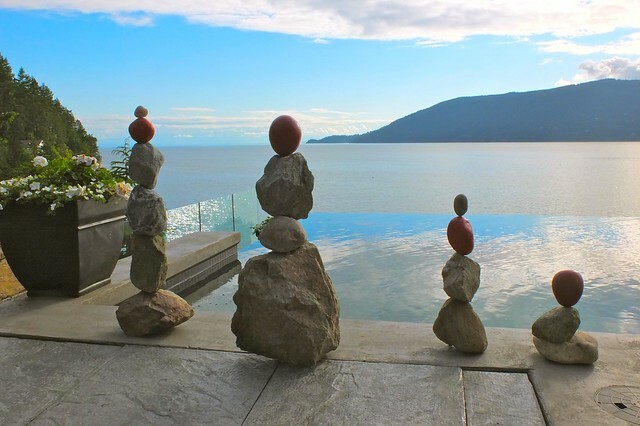 Dunn PR even hired a special rock balancing expert to arrange an array stones on top of one another with a few appropriately specially painted red rocks. It was the epitome of relaxation, sitting back, and eating delicious food concoctions outside with the breeze. Fancy bacon mini grilled cheese sandwiches, stone cooked pizza, and chocolate treats accompanied our glasses of red. It was a breathless evening. 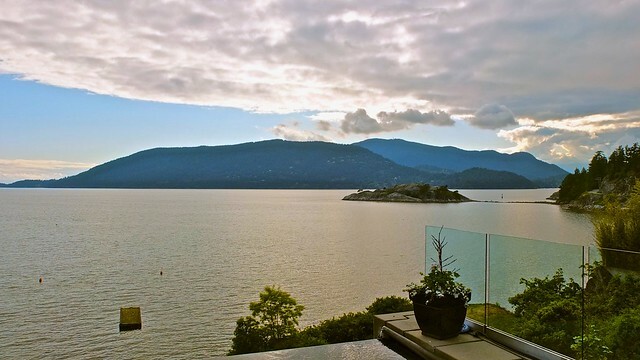 I'll leave you with another shot of the beautiful waterfront estate looking out from the infinity pool and patio.